Good morning my loves! Hope you’re off to a great week! I woke up this morning and it really hit me… I only have about 8 weeks left until this little one arrives! I’m beyond thankful that my first and second trimesters went smoothly, but now being in my third trimester, I’m experiencing a lot of difficult physical changes. Getting a full night’s rest has been a huge challenge for me (my belly is getting large and it’s hard to find a comfortable position to sleep in, plus I have to pee like 12 times a night!) and I’m definitely feeling more fatigued because of it. Truth is, I probably won’t be getting a lot more sleep once she arrives either…And between house-hunting, planning my baby-shower, getting our nursery ready and keeping up with our busy work schedule..the fatigue is definitely showing up in my skin. I’ve been noticing puffiness around my eye area and dullness all around. I think we can all agree that especially during times like these, it’s comforting to use products from brands that we know and trust to use on a daily basis. For me, that’s Origins. I love knowing that anything I use from them contains all natural ingredients, and will show real results within a few short weeks. I’m all about preventative skincare and prolonging my youthful skin as naturally as possible!! With all of the recent changes I mentioned, I really wanted to jumpstart a more aggressive skincare routine and take preventative measures before I noticed signs of fatigue getting any worse! I started using Origins’ Plantscription Anti-Aging Power Serum on a daily basis two weeks ago and have been so impressed with the results so far! The formula is packed with 20 targeted anti-aging plant extracts including a special ingredient called “Anogeissus,” which plays a key role in tightening your skin and getting that bounce back so your skin can look better than ever ;). One of the biggest concerns that comes along with lack of sleep is loss of firmness and radiance in your skin. Anogeissus is referred to as a “natural healer” ingredient and helps stimulate the natural production of fibrillin, the protein that restores your skin back to its original state. Bamboo and pea extract are also amazing anti-aging properties and work together to plump upper skin layers, reduce wrinkles, and eliminate dullness. After cleansing my skin, I apply my toner to ensure there’s no excess make-up left, then I apply 2-3 pumps of Origins’ Plantscription Anti-Aging Power Serum to my skin and let it penetrate for a few minutes before applying my moisturizer. I use it twice a day, once in the morning after washing my face, and once at night before bed. What I love about this serum is that the formula is very lightweight and refreshing so it works well under makeup which is always an added bonus! Just 2 weeks after using this high-performance serum on a daily basis, my skin is already feeling more hydrated, radiant, and youthful. I also appreciate that the formula has no artificial scents which I’ve been very sensitive to during my pregnancy, so I really enjoy putting it on! 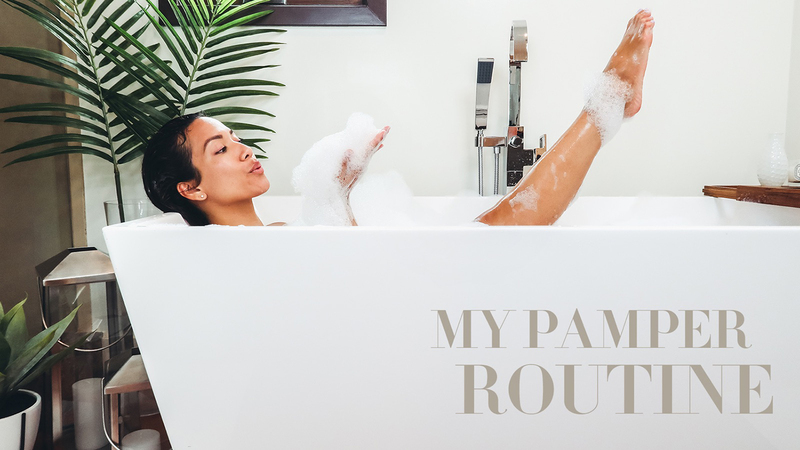 For those of you who read my blog on a regular basis, you know I’ve been getting into a cleaner beauty routine ever since I found out I was pregnant. No surprise, finding products that are natural and safe in this day and age is far from easy. Origins products are formulated with natural, organic ingredients and most importantly free of parabens, paraffin, and other harmful chemicals that are found in the beauty market today. Even after having the baby, I plan on breastfeeding for a long time, so it’s really important for me to continue leading a healthy lifestyle, using natural products on my skin and body, and eating healthy, vitamin rich foods; because whatever I am ingesting is what my baby is too. I can’t stress enough just how important it is to have a great serum at the forefront of your daily skincare routine to help address those underlying skin issues that moisturizers just can’t fix alone. With less than 2 months to go in my pregnancy, I’m on a mission to get my skin back to its plump, youthful state so that when my little girl gets here she can meet her mama looking happy and glowy! I can’t wait to see how my skin will feel after a few more weeks of using this Power Serum! A special thanks to Origins for partnering with me on this post. Needed this!! 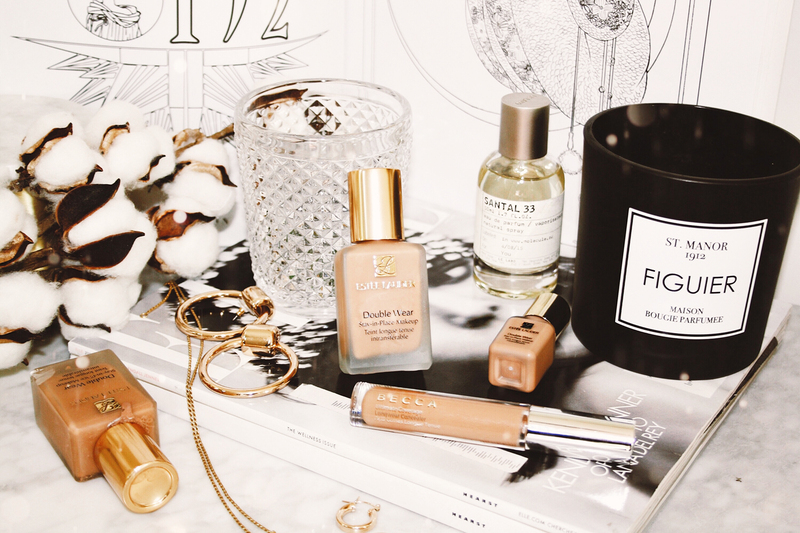 Have been feeling dry and dull lately… will need to try out your tips + these products. You are just glowing and so beautiful Jessi! Hi Jes, I am sure you are so excited to meet your little one. Time has definitely flown by because it seems it was just yesterday when you shared your pregnancy news. I definitely love Origins products! Will need to try this one out! Aww thanks Ashley, you’re so sweet<3 Origins has the best products, definitely give their power serum a try! Just received my origins today! Can’t wait to try it. Yayay can’t wait for you to try it, let me know what you think! Wow your third trimester already?? She’s growing so fast, how are you feeling hun haha probably not your best, but you look fab! Glad you realized you had to transfer to a low-maintenance routine LOL. Once you become a mommy, you’ll only have time for the hassle-free, good stuff! This product is absolutely stunning. And I love to cut down my stuff too. So many things and you can not even use them all. Your skin is so flawless and I’d love to try these Origins products myself :) So exciting that you only have 8 weeks left until your daughter arrives! Thanks Andreea! You should try it out…it works wonder! I have never try Origins, but from reading your post sounds like something I need to add in my skincare routine. Definitely, will be checking for this specific serum. Thanks for such a great review, beauty! I am excited to try this product after reading this! So many busy months ahead of you, sounds exhausting! I hear so much about this brand and my skin looks so tired, I definitely should try this. I will try this product. Oh I like the products of Origins! Such a great review my dear – thanks for sharing some of your secrets! Such a great brand. And your skin looks beautiful! Origins makes great products. I have yet to try this serum, but will ask for a sample next time I get the chance. I’ve been using the Origin mask since a pair of months, it’s really lovely, it makes my skin softer and more hydrated. This post is genuinely a nice one it assists new the web viewers, who are wishing in favor of blogging.